Do you have any fun Memorial Day traditions? Do you spend the day with your family? Is there a certain activity you do or a place that you visit? Do your children know the meaning of Memorial Day. If you are looking for some ideas on Memorial Day activities for kids, here are a few that they may enjoy. 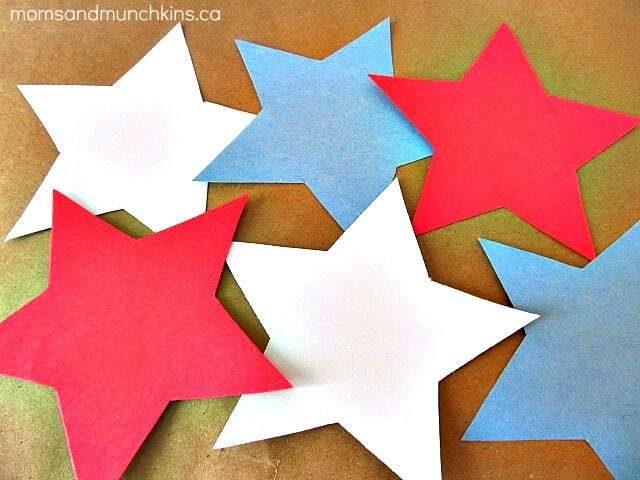 1) Create your own star banner: Have your child trace some stars onto red, white & blue paper and then cut out these star shapes. The stars can then be given a small hole punch in the top and you can run a string or streamer through them to create a banner to hang somewhere in the house. 2) Memorial Day Word Search: Print this one for free. 3) Red, White & Blue Breakfast: Create a pancake breakfast with blue & red berries (blueberries, blackberries, raspberries and strawberries) along with whipped cream. 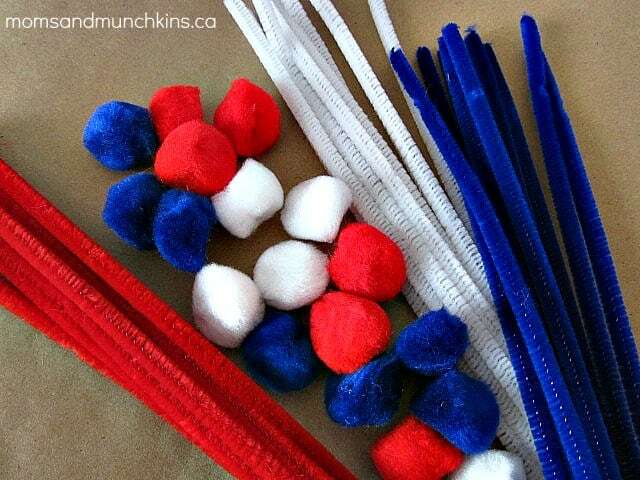 4) Create A Centerpiece: Provide your child with red, white & blue craft items such as paper, pipe cleaners, pom poms, glitter, markers and stickers. You may also want to provide them with a small box to use as a platform. Ask them to create a centerpiece for your Memorial Day Family BBQ. 5) Outdoor Party: If you live in an area warm enough, you could plan a fun outdoor party for kids including red, white and blue water balloons, frozen treats and outdoor painting. 6) Reading: At your local library, look for a children’s book on Memorial Day to teach your kids more about this holiday like what is stands for, the origin, and ways that other people celebrate this special day. Stay updated on the latest holiday fun ideas by following along on Facebook, Twitter, Pinterest and Bloglovin’. Great ideas! Can’t wait to try them out. I picked this post as one of My Friday Favorites. You can check it out here: http://wp.me/p2hp9V-PR. Have a great weekend – Happy Memorial Day!